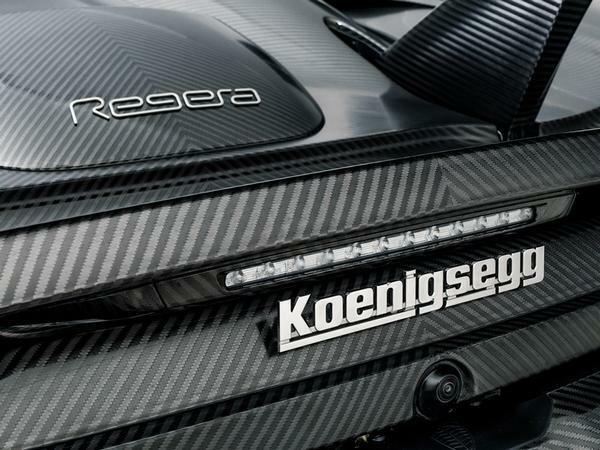 Being a company of only 200 employees has not prevented Koenigsegg from taking on the industry's biggest names - as is evident by the list of world firsts achieved there. The small Swedish firm was the first to beat the 240mph top speed of the McLaren F1 back in 2005, of course, before becoming the first maker of a megacar with the One:1 nine years later. Most recently, it beat might of Bugatti with the top speed record breaking 277mph Agera RS. And now it's back with another world first. Koenigsegg has produced a car - well, 1,500hp Agera - with a carbon fibre skin that's completely bare. Not even a nanometre of resin can be found on its surface, which means the carbon beneath is completely exposed. While that's not quite as spectacular a world first as ones relating to speed and power, once you understand the intricate process required to produce such a finish, let alone one capable of surviving the elements, the achievement sounds all the more remarkable. Anyway, it helps to save 20kg from the car's weight, the benefits of which we can all understand. For starters, this so called Koenigsegg Naked Carbon (KNC) is different from the other 'bare' carbon bodies we've on supercars in recent years because absolutely no lacquer or varnish is applied. This means the perfect finish of each body panel is intrinsically linked to the quality of each and every visible carbon strand, which places quite a lot of pressure on the hand weaving process used to make it. There's resin in the carbon, of course, but not on the top layer, because it's been hand sanded away. "This is an extremely sensitive process; one stroke too many will ruin the visible weave structure underneath the thin epoxy layer," is how Koenigsegg explains the difficulties. On a twin-turbo V8 model that's worth £1.5 million before any bare carbon body is specified, even the smallest blemish won't get past the company's quality control checks. We don't envy the person entrusted with this job, put it that way. In case you're wondering how a birthday suit Agera will stand the test of time, Koenigsegg said it's left test body panels outside for years to see how they stand up to the elements. Presumably none cracked, melted or showed any signs of damage, so here we are with the world's first naked carbon car. And given how complex the manufacturing process to make it is, we suspect the Agera might remain the only one for a while, too. Might have to sell the house and put down a deposit. is the top speed not actually 282 in that it did hit that speed one way just not both for the record none the less it did over 280 mph on a public road. The reason I mention it is if Buggati get their car to 281 say will they claim to be the fastest or worlds first etc when in fact its not. Amazing amount of mistakes in the article.